Apart from causes and connections between health and disease the project aims at investigating structures, features and processes of health care. All investigations are performed by taking economical aspects into account. Methodologically, the focus is on interdisciplinary, quantitative and empirical research. The Center of Empirical Studies is a research initiative linking empirical and methodological research groups from several different faculties. Methodological challenges include modeling unobservable heterogeneity or measuring latent traits, that recur in similar form in, for example, economic, sociological and psychological tasks. The aim of the Center of Empirical Studies is thus to enhance the explanatory power of empirical studies by means of new methodological developments. The initiative is organized in three interacting areas: Statistical Learning, Data Mining & Knowledge Discovery, Measurement & Evaluation and Dynamic Modeling. The project aims at the modelling of distributional properties using non-parametric estimates. 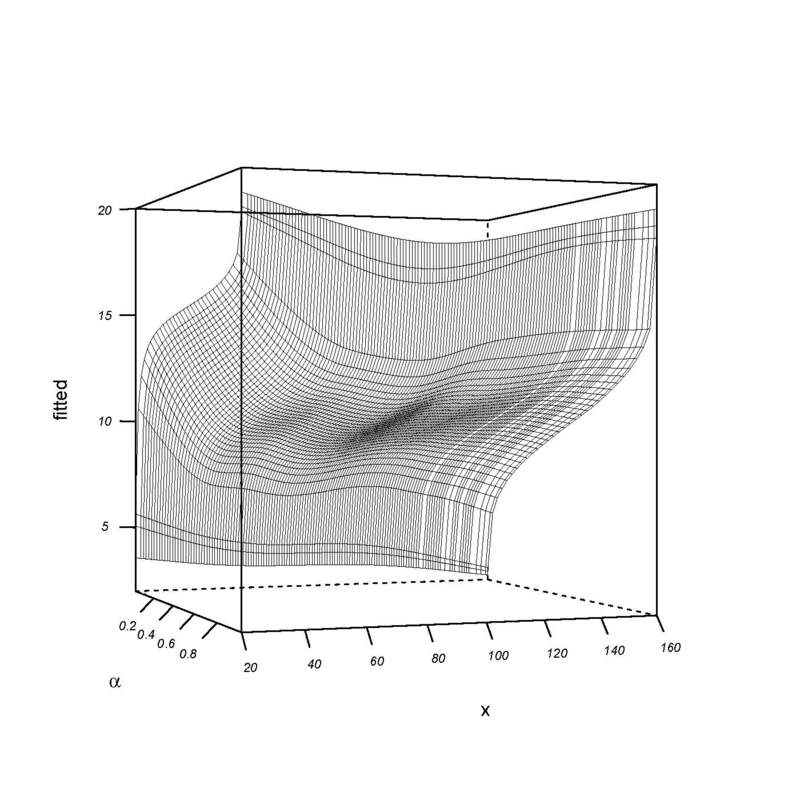 Classical non-parametric (mean-) regression will be extended to expectile regression. This allows to model the entire conditional distribution of a response variable instead of the mean value only. Numerous results from penalized spline estimation will be adapted to expectile regression which allows to derive asymptotic properties for the estimates. A particular modelling exercise is laid upon expectile estimation for longitudinal, clustered data. The dependence structure in the data is captured by incorporating individual components in the model, extending (linear) mixed models to mixed expectile models. Expectiles will also be compared and contrasted to quantiles serving as established benchmark model. All results of the project will be made available numerically with R packages. The group is funded through the Emmy Noether Programme of the German Research Foundation (DFG) and works on statistical methods for high- dimensional and complex, in particular longitudinal, functional data. Item-Response-Theory (IRT) comprises a variety of statistical models for linking the latent traits of subjects to their reactions to test-items or -stimuli. One example is the application of the Rasch-model to measure latent abilities, where the parameters of all persons and items are represented on a common scale. Since, however, a common scale can often not be assumed for different groups of subjects, several methods - including latent-class approaches - have been suggested for incorporating observable subject-covariates in the model. The existing aproaches have some drawbacks, though: In many cases the information available in the covariates is not fully utilized. Moreover, complex parametric models are hard to interpret for the vast majority of applied scientists. Therefore, the aim of this research project is to develop a flexible and yet easy-to-handle range of methods, that allows to incorporate subject-covariates of all kinds - alone and in combination with latent-class approaches - in a variety of IRT-models. Application areas of these methods in psychology and empirical education research include the exploratory modeling of heterogeneity as well as the hypothesis-driven application as a test for the validity of a common model. Dynamic images, i.e., 2D or 3D images acquired over time, are used in biology and medicine in order to capture rapid kinetic processes in organisms in vivo and can be derived with a variety of technologies, including, amongst others, fluorescence microscopy and magnetic resonance imaging (MRI). From a statistical point-of-view dynamic images - independent from the modalities they have been acquired with - share a similar data structure. The signal time curve in each voxel can be described by kinetic models based on the biological processes in the organism. Biological models for dynamic images are often oversimplified to ease parameter fitting. The aim of this project is to develop and to apply advanced spatial statistical models for the analysis of dynamic images. We use Bayesian inference to allow for robust parameter estimation in more realistic biological models. Criteria for the choice between competing local kinetic models will be developed. In contrast to existing model choice, we will account for the fact that local kinetic time curves are not independent. By using spatial prior information, more robust estimators and, additionally, information about the spatial structure will be obtained. In addition, we will develop methods to analyze multiple dynamic images simultaneously. The development of statistical methodology will mainly be driven by problems in two applications of dynamic images, Fluorescence Recovery After Photobleaching (FRAP) and Dynamic Contrast-Enhanced Magnetic Resonance Imaging (DCE-MRI). 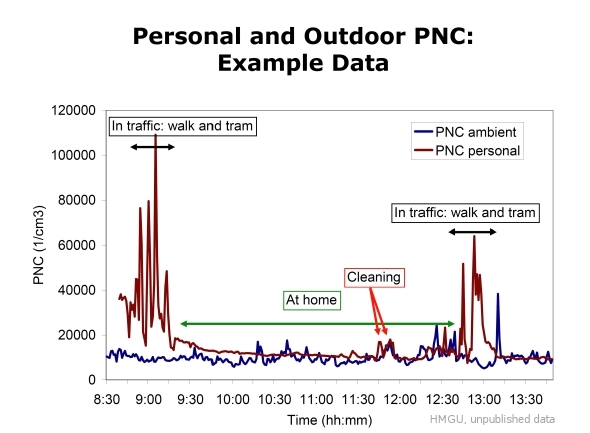 Exposure assessment studies have shown that centrally measured particulate air pollution may not adequately represent personal exposure of individuals. Using centrally measured data as a surrogate for personal exposure can result in systematic errors in the effect estimates and, thus, diminish the power of the relevant statistical tests. The improvement of the estimations by combining individual and central site measurements is the intention of this research project. Furthermore, there have been studies attempting to partition particulate pollutants to the sources from which they were emitted (e.g. traffic, industry). Since specific source contributions can only be estimated by complex statistical models, measurement error models ought to be applied also in this field. In most parts of Germany, the natural or artificial regeneration of forests is difficult due to a high browsing intensity. Young trees suffer from browsing damage, mostly by roe and red deer. In order to estimate the browsing intensity for several tree species, the Bavarian State Ministry of Agriculture and Forestry conducts a survey every three years. The primary aim of this project is to model and predict the probability of dear browsing in Bavaria. Based on geostatistical regression models, a smooth probability function representing the dear browsing intensity in all dear management districts in Bavaria will be derived from data gathered in both the 2006 and 2009 surveys. This model will allow for the identification of areas with high browsing intensities for at least one tree species. This information is valuable for the implementation or modification of deer management plans. The increasing use of renewable energy sources leads - amongst others - to the construction of numerous new hydro-electric power plants. These power plants complicate the migration of fishes. Solutions like fish passes can help the fishes to migrate upstream but especially downstream this solution is not satisfactory. The goal of an interdisciplinary project involving biologists, engineers, computer scientists and statisticians is to find strategies that support the migration of fish. 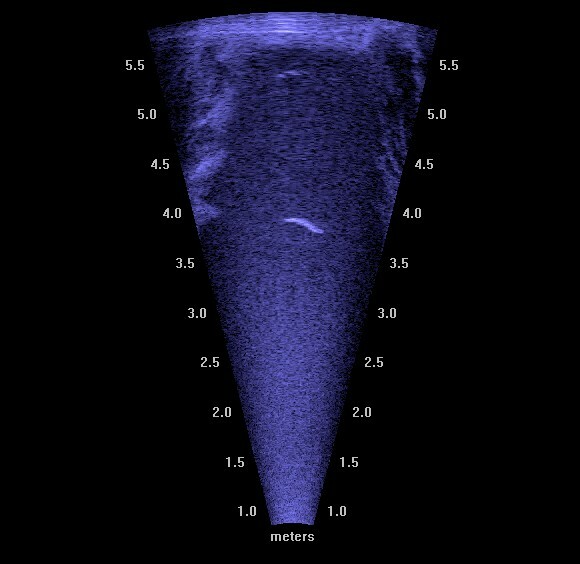 As part of this project we are developing statistical methods and - in cooperation with a computer scientist - a user-friendly software to classify and count fishes automatically using sonar videos.